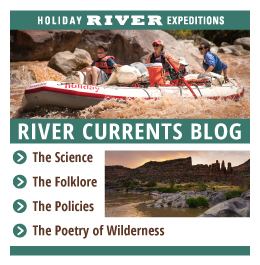 SALT LAKE CITY, UT, April 21, 2016 – It was 1966 when, out of a love for wilderness, high adventure and the rush that comes from running whitewater, Holiday River Expeditions (https://www.bikeraft.com/) first began guiding people down the Colorado and Green Rivers in inflatable, muscle-powered rafts. This was more than a decade before another now-popular adventure conveyance, the mountain bike, was even invented. It didn’t take long for Holiday to recognize that the two meshed perfectly together and in the early 1990’s the multi-sport trip concept combining white water rafting and mountain biking was born. 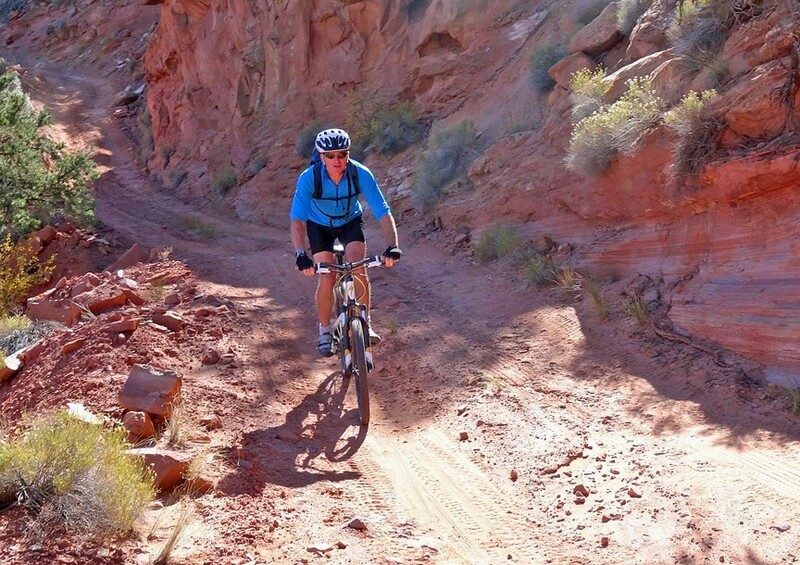 Mountain biking and Moab are nearly synonymous. This former uranium boom town is a mecca for bikers wanting to swoop, soar, climb and roll over the region’s sinuous sandstone and wild desert trails. Rides on single and double track with a professional guide over two days will be tailored to individual interests and skill levels. Whether it’s slaloming downhill past the Gemini Bridges, pedaling between dinosaur footprints at Klondike Bluffs, or exploring sections of the famous Kokopelli Trail, participants may expect a variety of daily options with just the right amount of challenge. 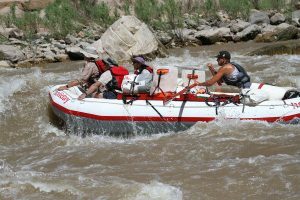 After getting their fill of rock hopping and slick rock descents, guests spend two days on the river, splashing through class III & IV rapids, including Skull, the narrowest section on this stretch of the Colorado. While floating beneath the sheer black walls of Westwater Canyon there’s ample time to kick back and relax. Those who aren’t too tuckered out may also opt to hike the side canyons in search of Native American cultural sites. Holiday River Expeditions uses 18-foot oar rafts, inflatable kayaks, standup paddleboards and full suspension Camber Comp 29ers by Specialized, a leader in the mountain bike industry. Guests are invited to use the company’s camping gear or bring their own. Late model air-conditioned passenger and four-wheel drive vans transport guests to and from trailheads and river access ramps in comfort. Holiday-designed water tanks ensure that guests have enough clean water for drinking, “solar showers” and then some. Trained guides are in charge of all meal preparations. 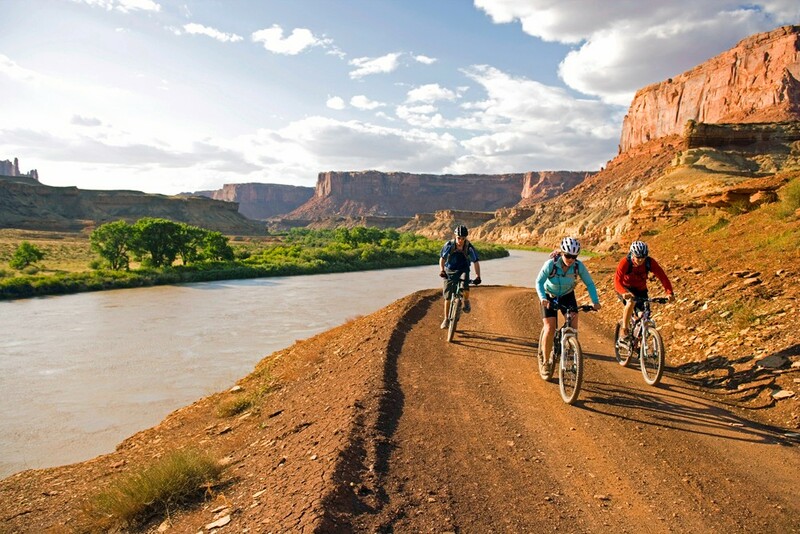 White Rim / Cataract Canyon offering three days of biking Canyonlands National Park’s iconic White Rim Trail with rafting Cataract Canyon on the Colorado River. The seven-day trips are available in May and September, minimum age 12. Rates start at $1,340 per person. Yampa Bench / Yampa River explores in part Dinosaur National Park over two days of biking and five days of rafting. Seven-day departures are June 6, 13 and 20 from $1,235 per person, minimum age 12. 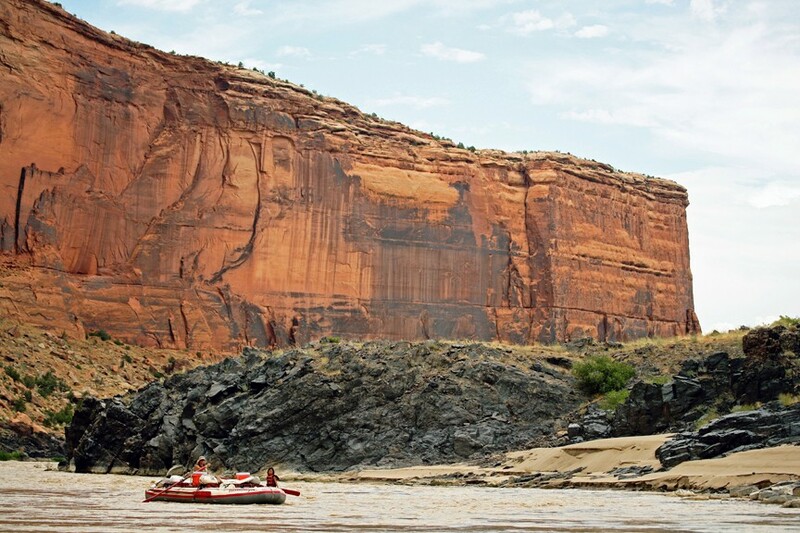 Moab / Westwater explores the La Sal Mountains and Colorado River for two days on bikes and two days on rafts beginning on Saturdays in July and August. The per person rate for four days starts at $800, minimum age 12. Note on prices: stated rates may or may not include BLM use fees (check the websitefor full details).